What does this mean for Facebook marketers? Will it effect how you promote an online contest? 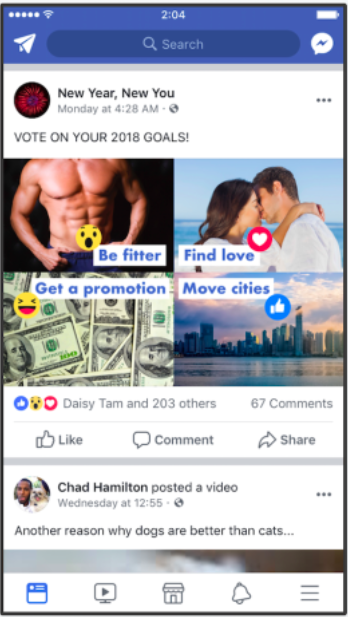 This article will break down exactly what engagement bait is, what the algorithm change means for you, and what you can (and can’t) do. I’ll also be providing a few recommendations and showing a couple safe Facebook post types you can use moving forward. Starting soon, Posts and Pages that use this tactic will be demoted. Essentially, Facebook is concerned that marketers have become aware of a way to “game the system” by prompting their Fans and Followers to engage with a Post. 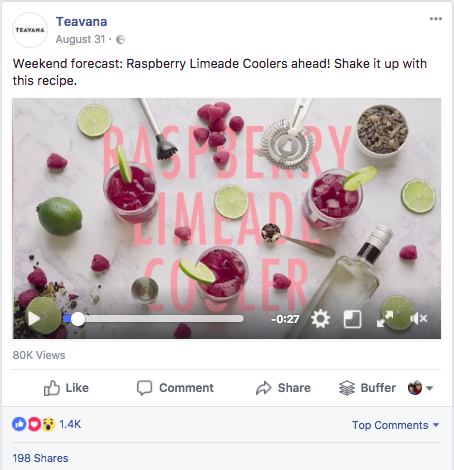 Engagement (like a “Like,” Comment, Share or “reaction”) has always been viewed by Facebook as a signal that the consumer appreciates the value of a publisher’s content. And that won’t change. What will change, however, is that Facebook will now be able to recognize when a publisher is intentionally prompting Fans and Followers to engage with their posts solely to boost organic reach. If you’re not publishing “engagement bait” content, this update means nothing. If you’re correctly using Facebook to promote your products, generate brand awareness through high-quality content, quotes, user-generated content, video and all the other best practices, you’re fine. 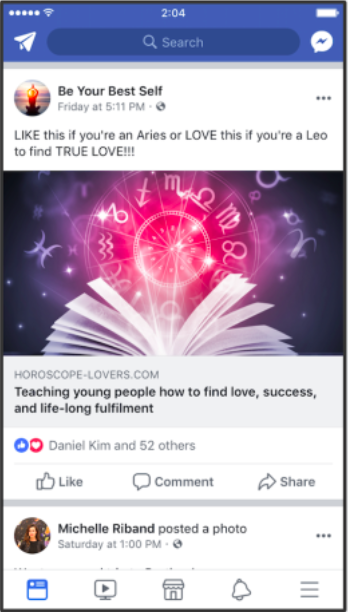 If, however, you’re still marketing on Facebook like it’s 2012, you may have an issue. Don’t get me wrong: I used to recommend engagement bait as a best practice. But that was several years ago and times change. 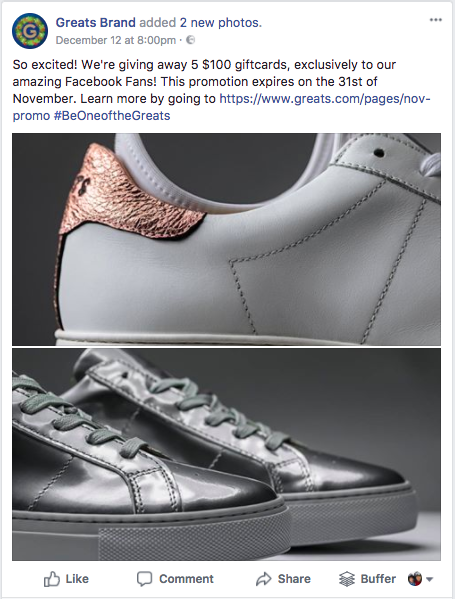 Facebook has decided that there are two ways to market on their platform: “boost” your content with paid promotion, or stop messing around with strategies to hack their algorithm and just create truly valuable posts. This update all-but bans the running of a Facebook contest on your timeline. 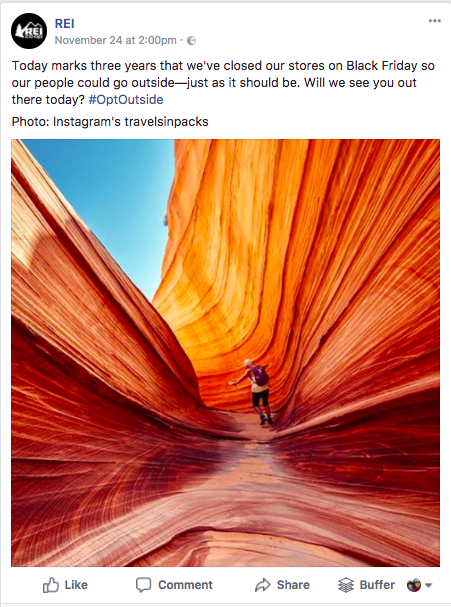 For many businesses, it was a no-brainer: take advantage of one of the most powerful ways to generate social media engagement (contests) without having to create an independent contest page on your website. Unfortunately, this update does a very effective job of removing that option. 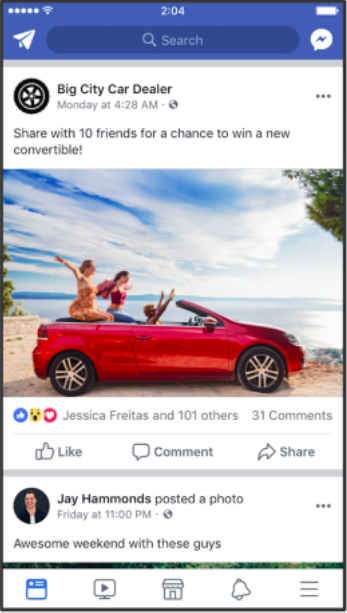 It leaves you with the option to host a Facebook contest on your website (or a Facebook tab) and drive traffic to it through a Facebook post which functions the same as any product-promotion post. And honestly, that’s better anyway, because running a contest off your timeline allows you to get way more engagement: you can encourage people to engage on other social media platforms, generate leads, and collect user-generated content – all things you couldn’t do with a timeline contest. This is a big deal, don’t get me wrong. 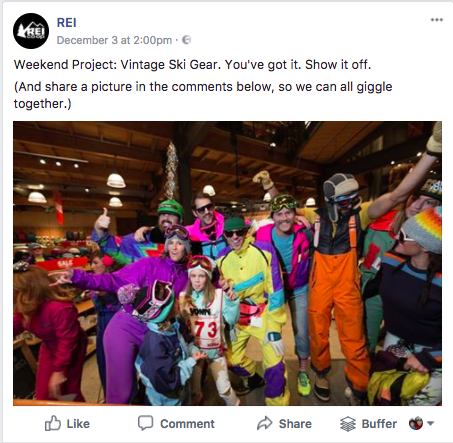 The example from REI above (the “real-world” example) shows how easy it can be to slip into engagement bait. But, so long as you’re aware of it, post great, relevant, high-value content, and don’t seek to “game” the system by prompting people to engage with your Posts, they’ll do it organically and you’ll be fine. And yes, this does have an effect on your ability to host contests on your Facebook timeline, but by hosting off-site and using a third-party contest platform like Wishpond, you’ll get better results than you possibly could have with a timeline contest anyway. Facebook is still the largest collection of prospective customers in the world. Don’t let this get you down. There’s still huge potential for growth. Have any questions about the engagement ban? Don’t hesitate to reach out in the comment section below.